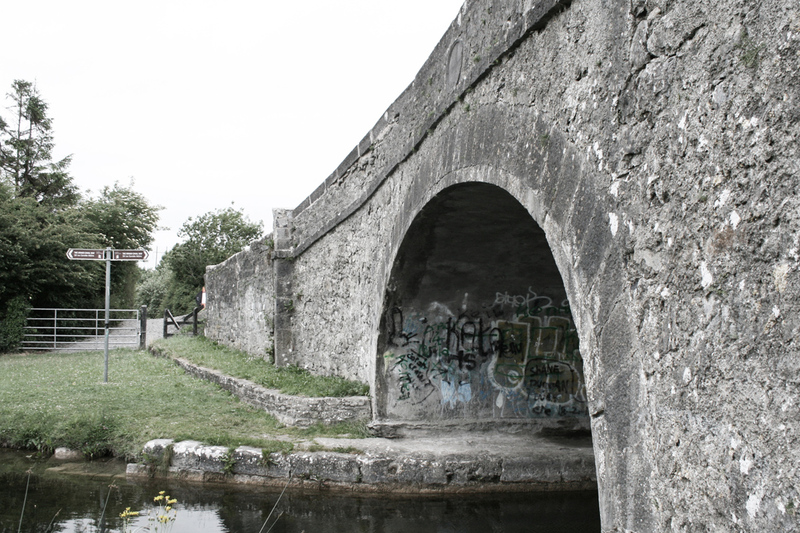 We have been commissioned by Irish Waterways to prepare heritage impact assessments for works proposed to a number of 18th century Grand Canal Bridges in Kildare. The first bridge to be examined was Bond Bridge in Allenwood, Co. Kildare constructed in 1796 as part of the 1797 extension of the Grand Canal at the time to Phillipstown (Daingean). Canal bridges brought new challenges to the engineers at the time: bridges had to cross the canal with a single span. The headroom required for canal bridges usually had to allow for greater height needed for horses passing close to the abutment. Canal bridges as is the case at Allenwood tended to use elliptical arches to minimise the rise and avoid being hump-backed as was the case with earlier bridges.